A great way to encourage good behaviour in the lead up to Christmas! 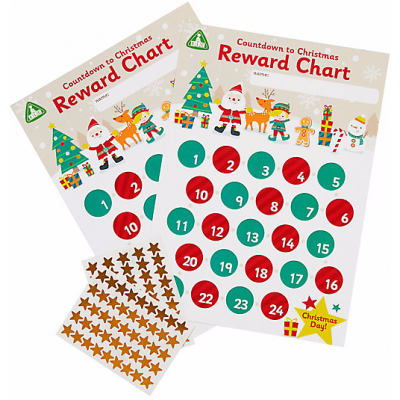 Children's Christmas Rewards Chart Write their name on the chart and count down the weeks to the big day. Includes gold star stickers to place on the chart as a reward for good boys and girls.